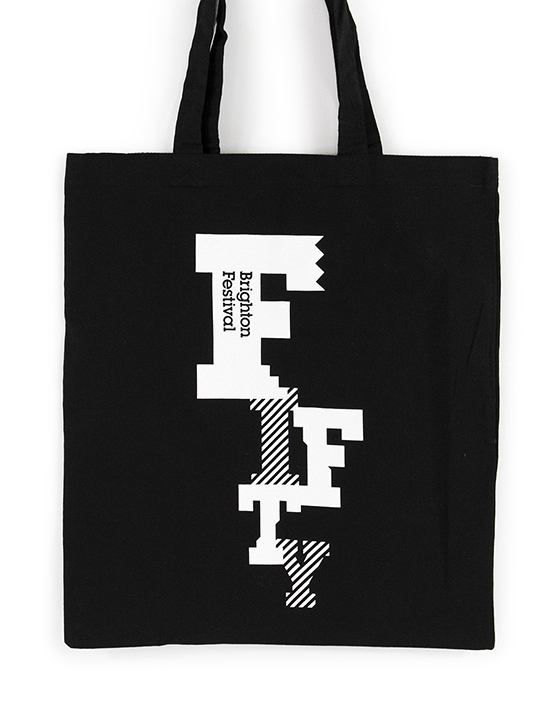 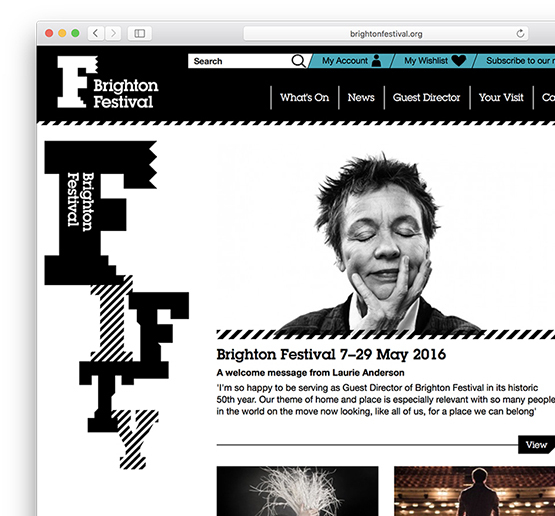 After rebranding Brighton Dome and Festival, Johnson Banks was tasked to create an identity for the 50th edition of the Brighton Festival, which will take place in May. 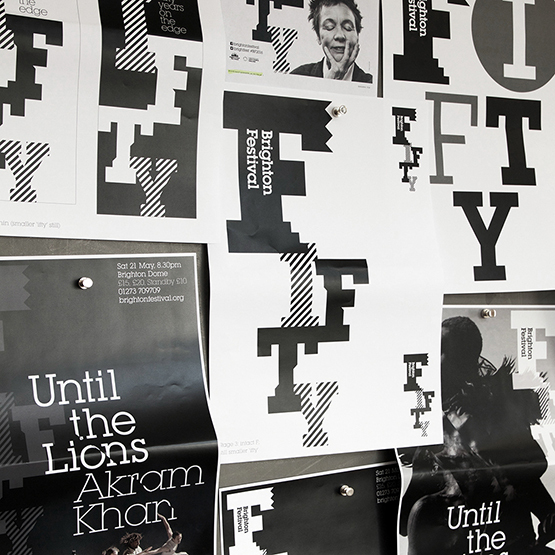 The consultancy says: “Right from the start we wondered whether we could incorporate their ‘F’ logo into the word ‘FIFTY’, to create a one-off logotype and side-step the usual conventions for ‘anniversary’ logos (which always seem to involve roundels and/or type set on circles). 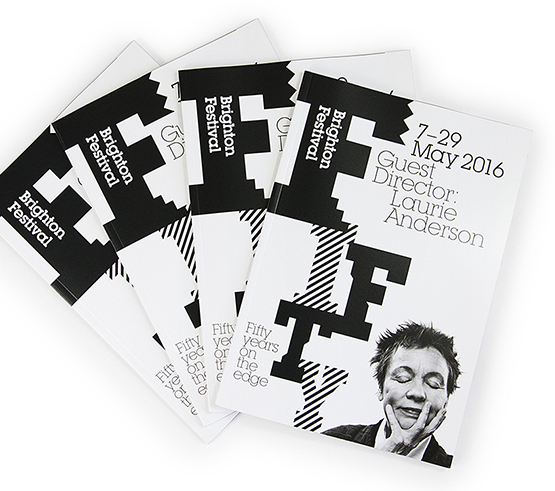 This year’s Brighton Festival is curated by Laurie Anderson and will take place from 7-29 May.